A comprehensive variety of public as well as private services must be accessible to all people irrespective of their disability. All those who are deaf or hard of hearing are need to have sign language interpreters for an effective communication. Such interpreters are of utmost importance when the information which is to be engaged needs effective and clear communication. When it comes to deaf employees, they do not need interpreters for day-to-day work, but for several other things such as job interviews, staff meetings, business conferences, job orientation and disciplinary meeting to name a few. Best sign language services guarantees effective and accurate services. Nowadays, it is seen that several hospitals as well as health care centers are employing sign language interpreters with the motive to provide smooth communication between the staff and hearing impaired patients. Why Choose Leading Company for Sign Language Services? If you choose a renowned company that is engaged in interpreting, translating as well as transcribing, you will be able to get best sign language services for the deaf and hard hearing people. 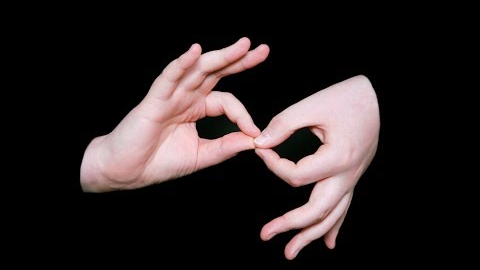 All sign language interpretation services are performed by qualified as well as highly professional interpreters. Such company includes experienced and skilled interpreters who hold great expertise and are specialized in their field. Moreover, the interpreters are certified, well trained and are properly monitored. Continuous feedback is given, which plays a vital role in ensuring that services are qualitative. Hence, choosing such company is the best way to attain world-class sign language services in a streamlined manner. However, before finalizing the firm you have to focus on experience, services and reviews of past clients. Hence, by considering all these things, you can make the best choice to attain best sign language services.